As the AIADMK manifesto had promised, Amma has ordered 8 gram gold for all BPL women before they get married. 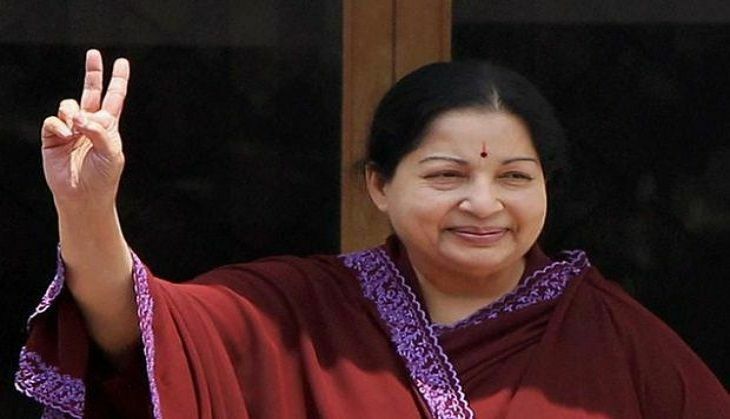 Additionally, she has also also ordered a waiver of crop loans for farmers in the state and provided 100 units free power for all households in Tamil Nadu. Children in government schools will also be provided with free breakfast and lunch. Apart from these, the manifesto included 50% subsidy to buy scooty for women, cheaper milk, new banking card to avail government services for poor. In their manifesto, the AIADMK government had promised that they would provide Rs 18,000 as maternity assistance to pregnant women. She also said that she will implement the Lokayukta and raise storage level of Mullaiperiyar dam to 152 ft. This is Jayalalithaa's second consecutive term as Chief Minister of Tamil Nadu. She holds the distinction of being the second person in the state to hold the Chief Minister's office consecutively.